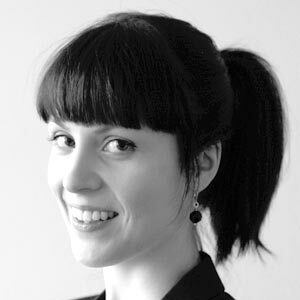 Katri Saarikivi is a researcher at the Cognitive Brain Research Unit of University of Helsinki with years of experience in work and organisational psychology. In her research Katri explores brain processes related to learning and how they can be shaped through interaction. She also works with organizations on subjects like the future of work, digital work, connectivity, creativity, and other human-centered aspects of work. She hopes to bring relevant neuroscientific knowledge to organizations to help in understanding how supporting human interaction and learning can lead to value creation and wellbeing. Katri Saarikivi, you are Cognitive Neuroscientist, could you describe your profession to someone who does not know well these special fields or terms? 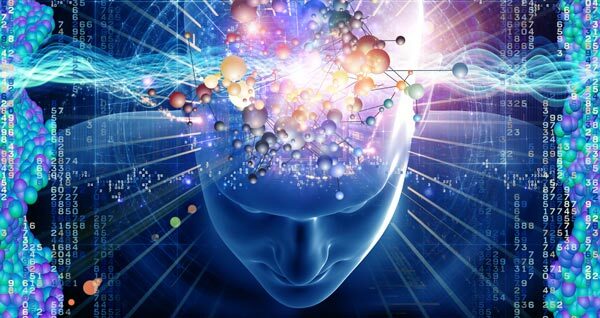 Cognitive neuroscience refers to the study of the neural processes underlying cognition. This means that we are interested in how thought processes, for instance perception, learning, emotion, or decision-making, are linked to neural processes. What kind of work are you practically doing & for whom? I’m working on my PhD at the Cognitive Brain Research Unit at the University of Helsinki. My thesis is on topic of neuroplasticity. More specifically, I am looking at at how intensive music or dance training during childhood influences the development of executive functions (i.e. attention, working memory, inhibitory control, cognitive flexibility) and social cognition. My findings will uncover whether and which subcomponents of these functions can possible be enhanced by training. Alongside research, I also work with companies on topics like the future of work, work cultures, value creation and quality of thought. I talk about and apply relevant neuroscientific and psychological research findings when needed. How much do you think people are able to research and modify their own being? As a researcher I am of course skeptical about the objectivity of measuring oneself as well as making conclusions on causality based on the data that people are able to obtain. That said, I have always been intrigued by the possibilities that people have for molding their abilities and other thought processes. For example, self-suggestion is a powerful tool. The downside is that people often tend to extend their own experiences to others. This is why I feel that alongside personal experimentation, we also need scientific research on how generalizable effects are and where they really stem from. This does not mean that the experiences and the help people get from for instance biohacking would be meaningless, it just means that the mechanisms behind why things work need to be fully studied before you can make general claims of their benefits. How can neuroscience be applied to the workplace? I think the ways of applying neuroscience directly at the workplace are honestly quite limited. It is a long way from understanding the neural substrates of different functions to actually applying this understanding in a meaningful way. Typically this means that people who attempt to apply neuroscience just end up using the word “brain” or “neuro” as a marketing gimmick but still talk about nothing new. However, the shift in work life is making any understanding we have of humans important. By “the shift” I mean that work life is becoming more and more human-centric. Through technological advancement, the problems that people solve at the workplace are becoming more complex. We need to share the cognitive load or work, we need others more than before. Also, when repetitive tasks and problem-solving can be automated, what is left is the core of work, human interaction. This can for instance be seen in the growth of the service sector. Because of this shift towards a learning-intensive, interactive work cultures, any knowledge we have of how humans function can be useful. You just need a critical mind and the ability to evaluate information sources to find the neuroscientific research and applications that truly have value. Tell us your own vision of Neuroscience future in next 10 years. Social neuroscience: the individualistic view of cognition is being countered by the interactive viewpoint. This has profound implications for how we understand and define human cognition: as something that arises in interaction, not something contained within an individual. Stuff like AI, maching learning, neuromorphic computing: these are areas I don’t know enough about but it seems that by modeling the brain’s activity we will probably gain unprecedented understanding of how different cognitive states arise from the activity of neurons. The only thing lacking here, and in all other computing (except for affective) is modeling of emotion, and other workings of the subjective mind.